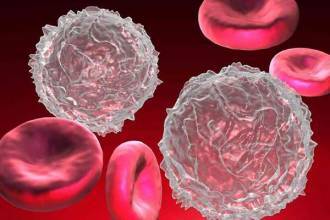 Hematopoietic stem cells storage consists of three stages. Immediately after childbirth and after the umbilical cord has been cut and the neonate removed from the mother, the obstetrician – gynecologist or midwife collects the cord blood from the umbilical cord, prior to removal of the placenta, into a sterile and suitably designed collection bag, provided by Omnigen. The process is completely safe for both the baby and the mother. Then, the stem-rich blood is transported (at a controlled temperature) to the laboratory, where specialized techniques, according to legislation (OGG 150/2011 and M.D 1005B’/2017), are processed to isolate the stem cells. They are ”Cord Blood” marked, not platelets or whole blood. According to the American Association of Blood Banks (AABB) guidelines and instructions published in valid medical journals, the quantitative blood-to-anticoagulant blood pressure in the pouch should range from 7: 1 to 5: 1 (at worst). The reason is that if the amount of blood is low (ie if the blood to anticoagulant ratio is less than 5: 1), then the cells get significant lesions, resulting in a great loss of their healing properties. Omnigen, recognizing the importance of each step in the process of collecting and storing stem cells from the umbilical cord, uses only the special collection bags. These bags are certified by the European Union and they are ”CE IVD” marked. After isolation, for the long-term cryopreservation of stem cells, we use a high-tech controlled freezing machine, which, by computer and special programs, reduces the temperature gradually and with absolute precision so that there is no danger to viability of the cells. In this way, the cells gradually reach a very low temperature, then placed in the special storage tanks, containing liquid nitrogen at a temperature not higher than -150 ° C (±). Cryopreservation tanks are the most modern devices in the field of biotechnology. 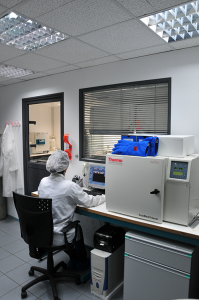 These devices are monitored (in accordance with applicable laws) with special electronic systems 24 hours a day, so that the storage temperature of the samples are continuously monitored and recorded. Storage rooms are monitored with video surveillance which records every movement in the company’s premises, ensuring the maximum security of the space. 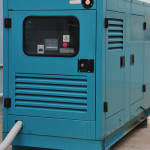 Moreover, we can guarantee the uninterrupted operation of all devices, even after prolonged power failure, by using a sophisticated external generator installed in our facilities. Essentially Omnigen can currently produce all the power needed for its operation without depending on any power company. Omnigen is one of the few companies in Greece with that infrastructure. Furthermore, the scientific staff of our company can ensure fast isolation and storage of your baby’s stem cells 365 days per year. It is known that maximal viability of stem cells is achieved the soonest we process the cord blood (best within 48 hours). Studies published in reputable scientific magazines indicate that the viability of stem cells (i.e. the number of cells that remain alive) depends on the time lap between collection and storage. 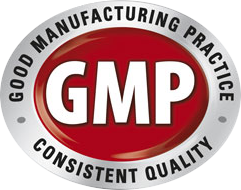 Some companies send the sample to a foreign country for treatment and storage. These companies cannot in any case guarantee completion of the process within the first 24 hours. Disclaimer: Omnigen is making every effort to provide complete and specialized services by offering the real benefits of science to man, constantly pursuing ongoing development. Acting in the field of stem cell cryopreservation, cell therapy and regenerative medicine, we make every effort to include accurate and reliable information both on our website and on printed material. However, Omnigen does not give any guarantee, express or implied, nor does it give any promises regarding the effect of cell therapies, their usefulness, their potential beneficial effects, and their suitability to cure any disease. Omnigen’s information material and the information it provides should not be used as a substitute for medical guidance, counseling, diagnosis or treatment of any disease or disorder. The user of any therapies assumes any risk that may arise from participating in them. Omnigen accepts no responsibility for any loss or damage caused as a direct or indirect consequence of the use or misuse of the information provided on this website or through the information provided here.